It really means a lot to our warriors and their families. The year-end is upon us and we extend our best wishes to you and your Marine or recruit for a new year filled with peace. As of 9:00AM CST 12/28/18, we have raised $6,349.00 towards our $16,000 goal. 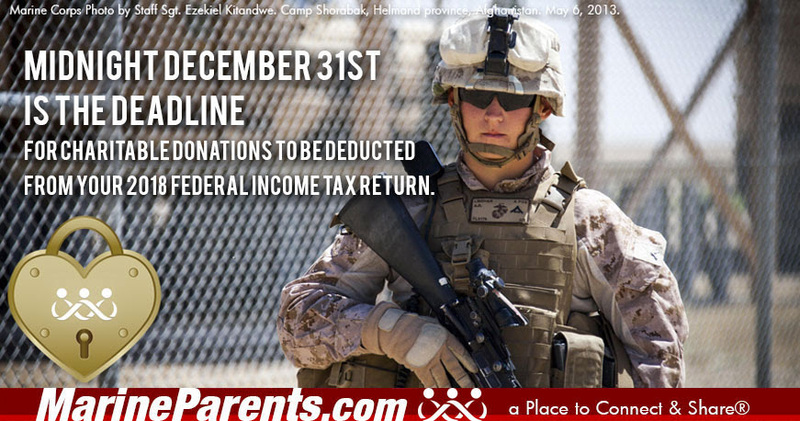 Please help us reach our goal by midnight Dec 31. According to my estimates, the WST-West team served over 3900 dinners to warriors in 2018, not counting the corpsmen in the hospital who received any leftovers from our dinners there. We also logged about 1350 volunteer hours. Tonight was June's last dinner with us. She and Gary donated the hospital dinner: prime rib, shrimp, potato souffle, glazed carrots, salad, dinner rolls and trifle for dessert. The patients and visitors were pretty amazed. Mark and I, along with the spontaneous assistance of a Marine Dad visiting his son, served 45 patients and family members tonight. I was able to share some ideas with one mom about how to care for her son who's undergoing chemo for leukemia. And I heard from one family member that her daughter hadn't been interested in eating much until MarineParents showed up with dinner tonight. 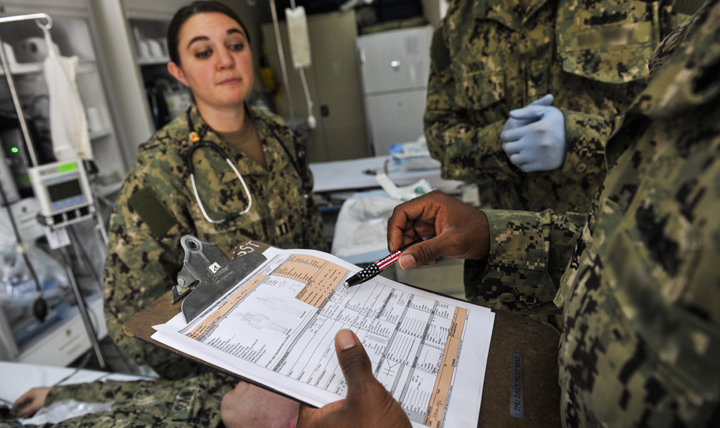 I also got to visit with a DI who was checking up on a recruit on our floor, and a Naval officer. They were both very interested in our program and both expressed their deep appreciation for your long-term service to the military at the NMC. Thank you so much for allowing us to continue this outreach program at the hospital. 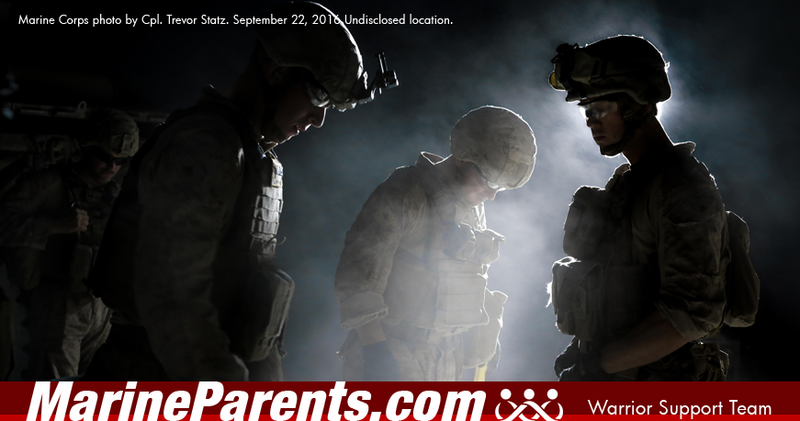 It really means a lot to our warriors and their families. Support a Warrior in 2019. Donate now. Click here to share from our website. This is the most beautiful lapel pin you'll ever own and no one else carries it! 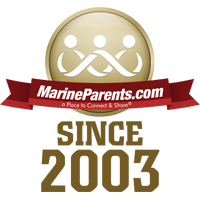 It's our brand new design available only at Marine Parents! 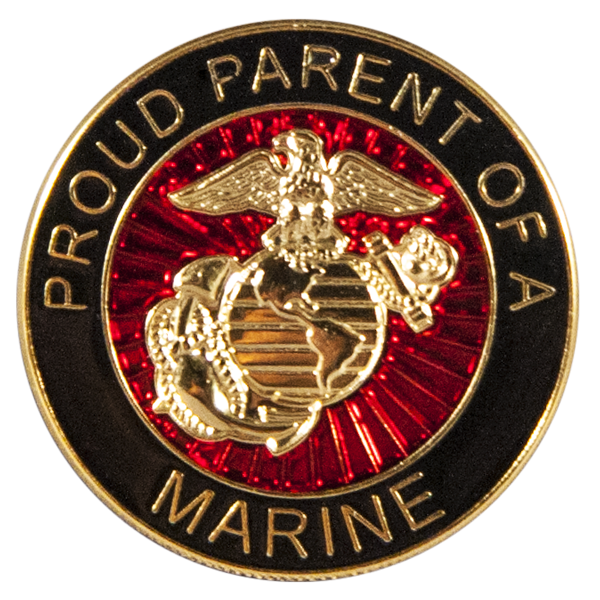 This lapel pin features the Marine Corps Eagle, Globe and Anchor in 3D on top of the Marine Corps seal with Proud Parent of a Marine text around the outside. This support pin has a single post and metal clutch backing. Measures approximately 1x1 inches. This design only available at Marine Parents. ﻿ Click here to get yours today!